So, here we go. 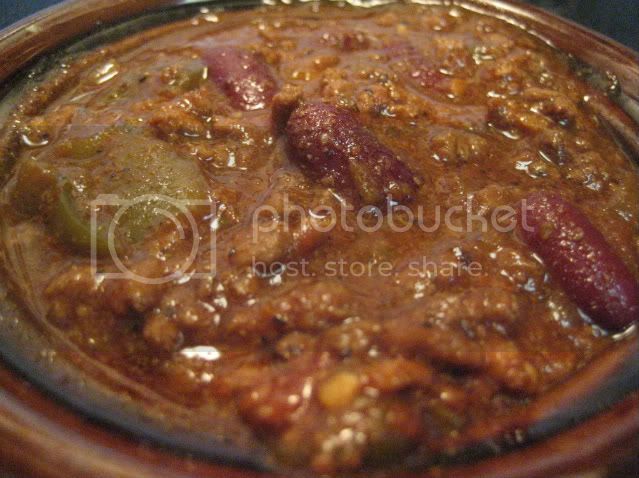 Here's an average pot of chili and I make it basically the same way everytime, but season to taste for each pot. 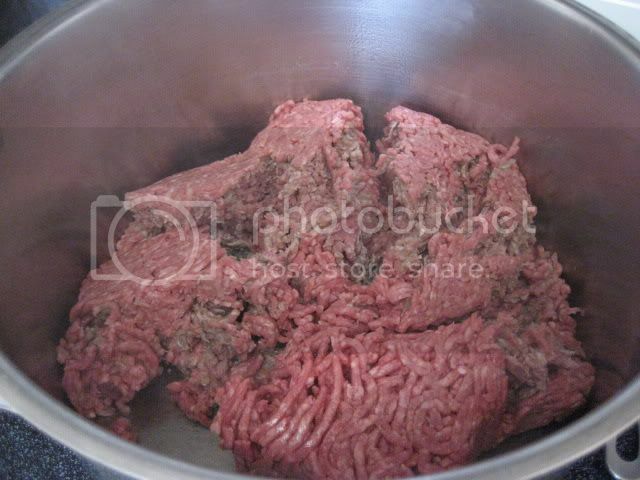 3lbs Ground Chuck....if you can't find ground chuck, 80/20 ground beef is about the same. 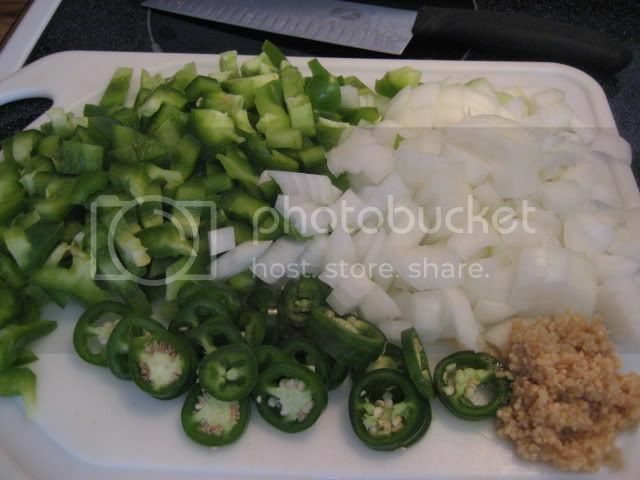 1 Big Green pepper, 2 medium onions, 2 TBS minced garlic and 2 jalapenos. 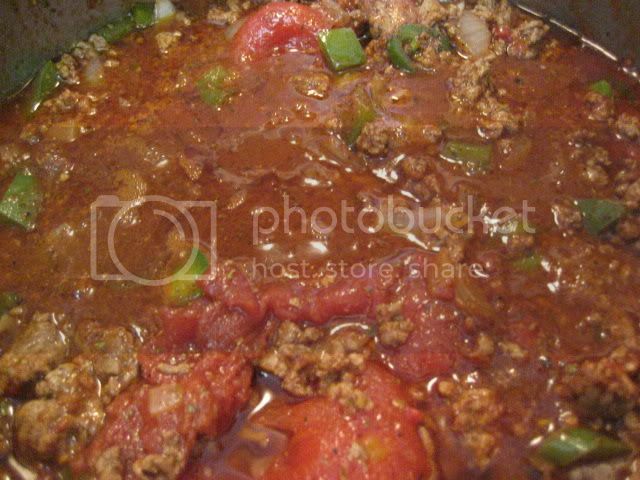 Brown the meat until almost done, drain some of the fat and then add the vegetables to begin to sweat. 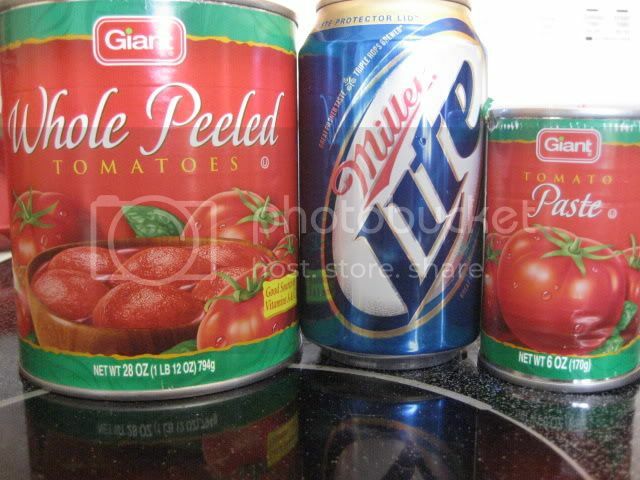 Add in 1 can whole tomatoes, 1 can of beer and small can of tomato paste. 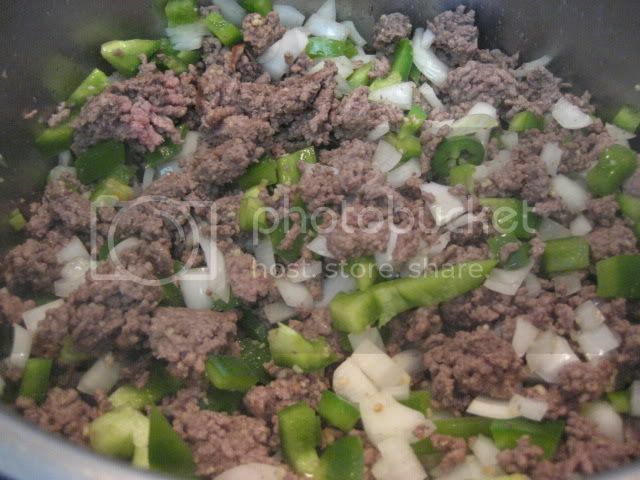 Add in chili powder, cumin, oregano, pepper and salt. 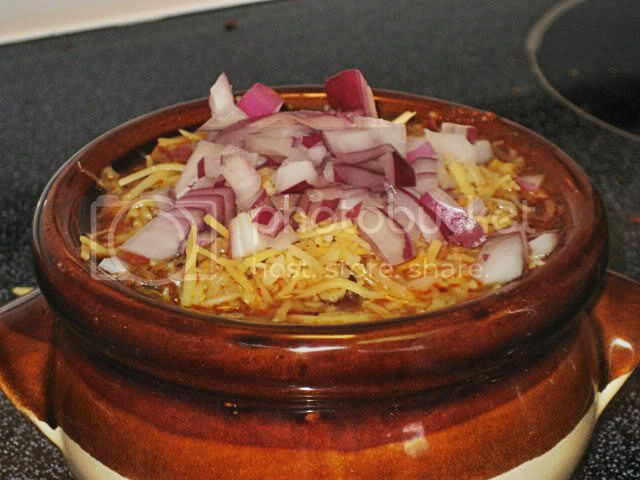 This will simmer 2-3 hours and then beans will be added along with additional seasonings as listed above. 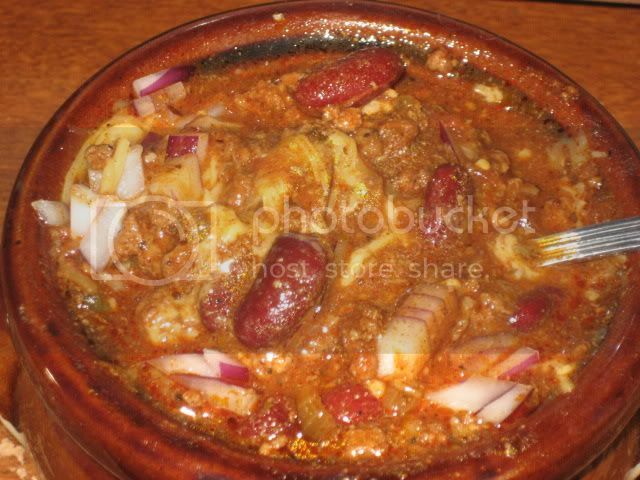 After several hours of simmering, I've add in 2 cans of kidney beans. 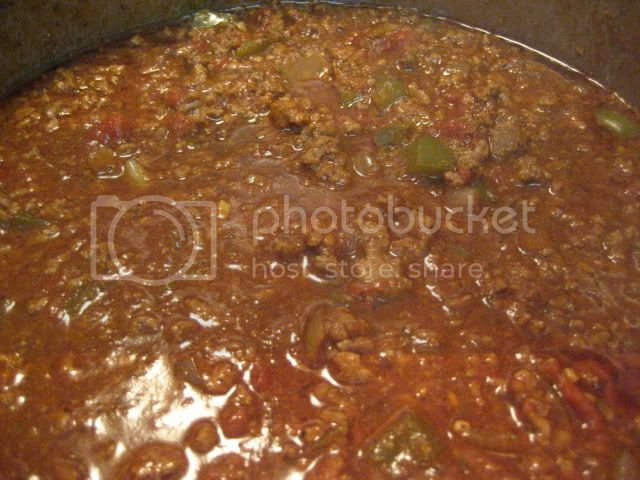 Chili's ready and in the crock. 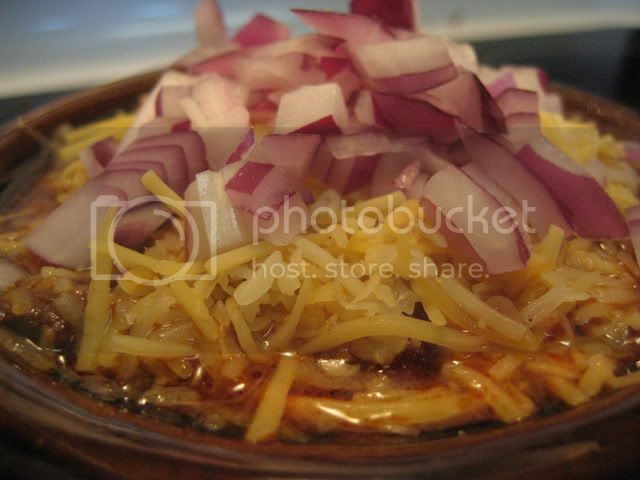 Topped with a little cheddar and fresh diced red onion.